Recently released alongside Skruf Super White #3 (see my review of #3 here!) as part of of Skruf’s new Fresh line of products, Skruf Super White #2 is a tobacco free nicotine product with a mint taste. 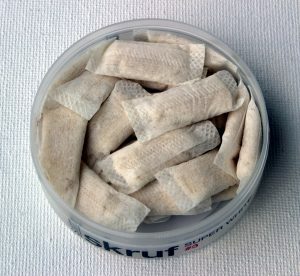 Plant fibers are used in place of tobacco, and are rendered white by using a similar process to what is done with snus. Every can of Super White #2 contains 24 regular strength portions, each with .72 grams of material for a total of 17.3 grams per can. Soon after opening my can of Super White #2, I began to notice a peppermint aroma and not much else in the background. Not long after putting a portion in, I began to taste a natural taste of fresh peppermint as well as hints of sweetness in the background. There was also a slight cooling sensation which lasted for a few minutes before gradually subsiding. The peppermint flavor lasted surprisingly long, and I generally kept portions in for a little under an hour before removing them due to a drop off in flavor. 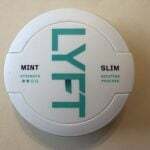 As there is no real tobacco used in the portions, I didn’t notice any underlying tobacco tastes develop over time like I would with mint flavored snus. The portions are very soft and fit comfortably in my upper lip without any issues. As a big fan of the trend towards white snus products, I appreciate the white portions used in the Fresh lineup. The nicotine buzz was satisfying, and a little weaker than Super White #3, but on par with average strength snus. The portions were slightly moist, and so the nicotine buzz comes on smoothly over the course of a few minutes. 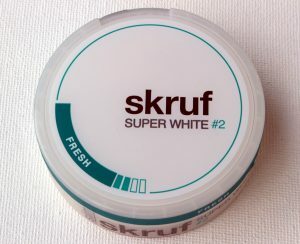 Much like Super White #3, I can’t say that I’m a huge fan of Skruf Super White #2. The lack of actual tobacco in the portions makes me feel as if I’m missing out on one of the key elements I love in snus. The nicotine buzz was satisfying however, and I can see the Skruf Fresh lineup being good for those who don’t have access to traditional snus. 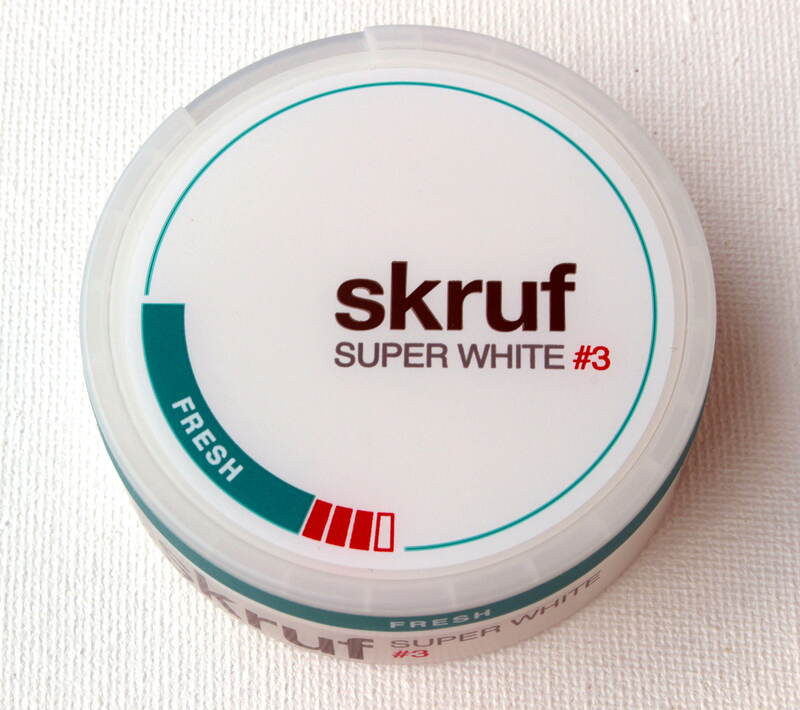 Recently released by Skruf Snus AB (now owned by Imperial Tobacco), Skruf Super White Fresh #3 is an all white nicotine product released alongside Super White #2 (which I will be reviewing soon!). 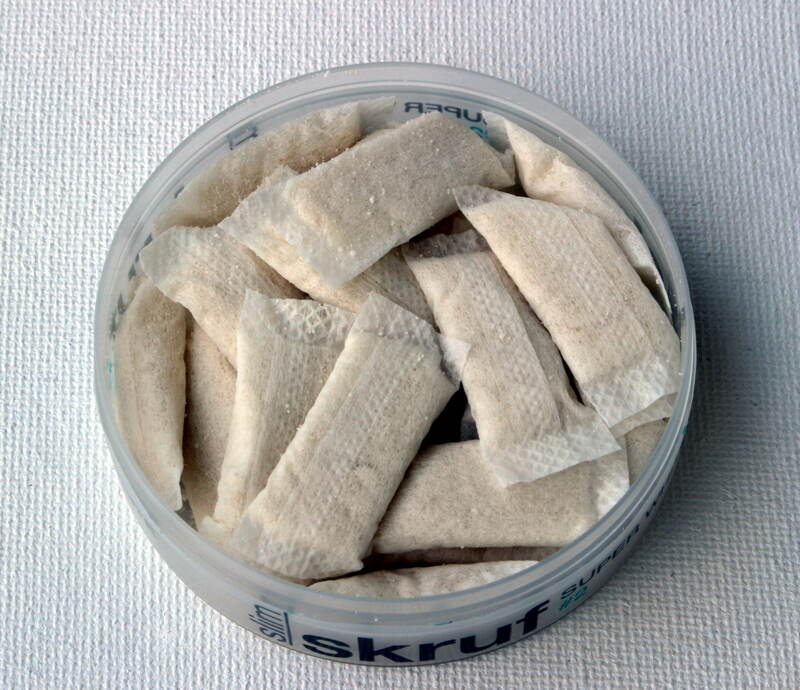 I say nicotine product, because although Super White Fresh #3 looks and feels like snus, it is actually plant fibers with nicotine added to them. Every can of Super White Fresh #3 comes with 17.3 grams of fibers mixed with nicotine, for a total of 24 0.72 gram portions per can. I’m not entirely sure on the exact nicotine strength of Super White Fresh #3, but the can shows three out of four bars, ranking it as a strong product. Soon after opening my can of Fresh Super White #3, I began to notice a sweet smell of spearmint emanate from my can. Not long after putting a portion in my mouth, I began to taste a spearmint flavor complimented by hints of sweetness. As there are a lot of mint flavored products on the market, I didn’t feel that Super White Fresh #3’s spearmint was very notable, but it certainly wasn’t bad tasting. On average, I generally kept portions in for about forty-five minutes before removing them due to a loss of flavor. As the portions didn’t contain any real snus, I didn’t notice any salty taste develop over time, nor did I detect any secondary flavors (which are usually a result of the tobacco). In terms of mouthfeel, Super White #3 pouches are soft, and they fit comfortably in my mouth without any issues. 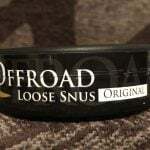 Although the portions feel quite similar to snus, I felt that the fibres used inside were a bit softer and slightly different than what snus feels like. Super White Fresh #3 is dry on the outside but contains moist material on the inside, and as a result I began to notice a nicotine buzz set in within only a few minutes. 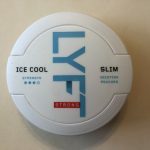 The buzz was in line with a strong portion snus, but I didn’t get the same tingly feeling as I do with certain brands of strong snus. As a whole, I can’t say that I’m a huge fan of Skruf Super White Fresh #3. The spearmint taste wasn’t anything to write home about, and the lack of actual snus inside made me feel like I was missing out on the characteristic taste of Skruf tobacco in the background. Despite this, I can see Fresh Super White #3 being an acceptable tobacco-free alternative to snus and nordic chew in places where they are banned yet you are looking for a nicotine experience which is close to (but not quite) actual tobacco. Despite using several types of nasal snuff over the years from time to time, I noticed that I have yet to review any nasal snuff here on the Northerner Blog! Since I like to write reviews for all kinds of products available on our online store and not just snus, I decided that now would be a great time to write a nasal snuff review, starting with Jaxons Dukes Brown! For those of you new to nasal snuff, I’ve previously written a handy guide explaining what it is and how to use it. 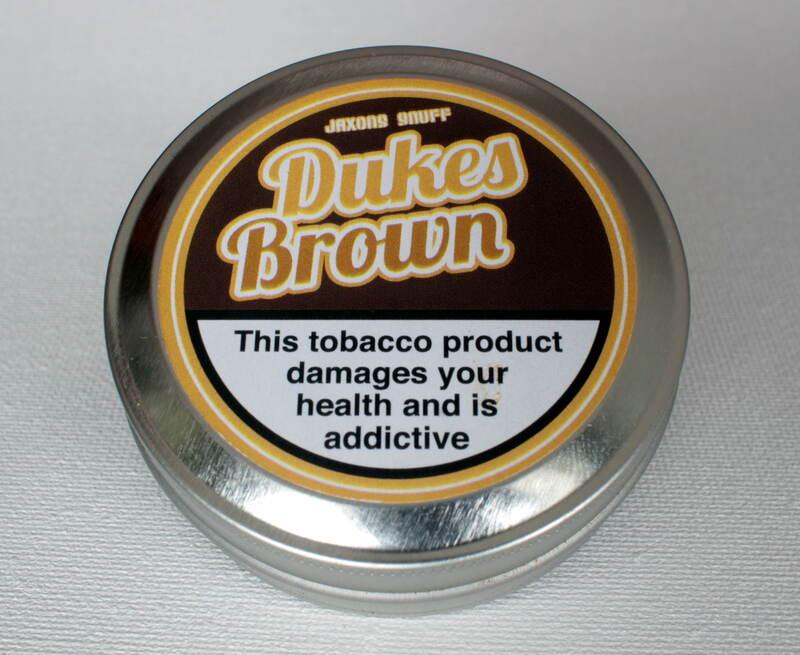 Produced by Jaxon’s Snuff, Dukes Brown is a finely ground light brown SP style nasal snuff. Although it is no longer certain what SP originally stood for, the term has now come to define a category of nasal snuff which is flavored with hints of citrus (usually bergamot) and floral aromas. 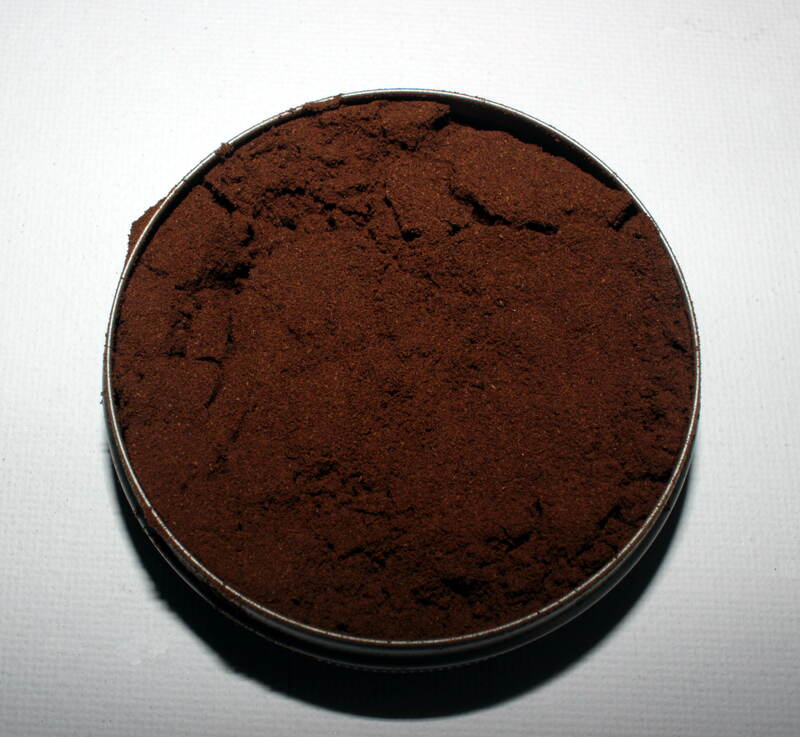 Every can of Jaxons Dukes Brown comes with 20g (0.70oz) of finely ground nasal snuff. Soon after opening my can of Dukes Brown, the first thing I looked at was the grind and consistency of the snuff. Medium brown in color, Dukes Brown quite dry and is finely ground which makes it easy to take a pinch. Next, I spent a moment taking in the aroma. At the forefront, I noticed a slight, dried tobacco aroma, and it was complimented by a floral scent. In the background I noticed hints of citrus, but it was quite subtle. As a whole, I must say that I definitely enjoyed the experience of Jaxons Dukes Brown. Its been a while since I’ve had a nasal snuff, and Dukes Brown has a great aroma and nice nicotine kick. 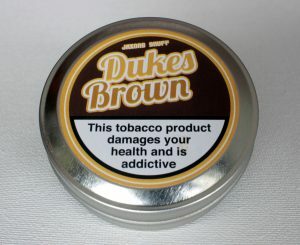 I recommend Dukes Brown to those who enjoy SP style snuffs, as well as those who are curious about trying nasal snuff and enjoy tobaccos with a floral element to them. A little while ago, we had a sale on Stonewall Dissolvables here on the Northerner, and I promised that I would write a follow up review on the product once I was able to get my hands on some. Well, that time has come, and after trying several pellets out I’ve decided to post my thoughts here on the blog! 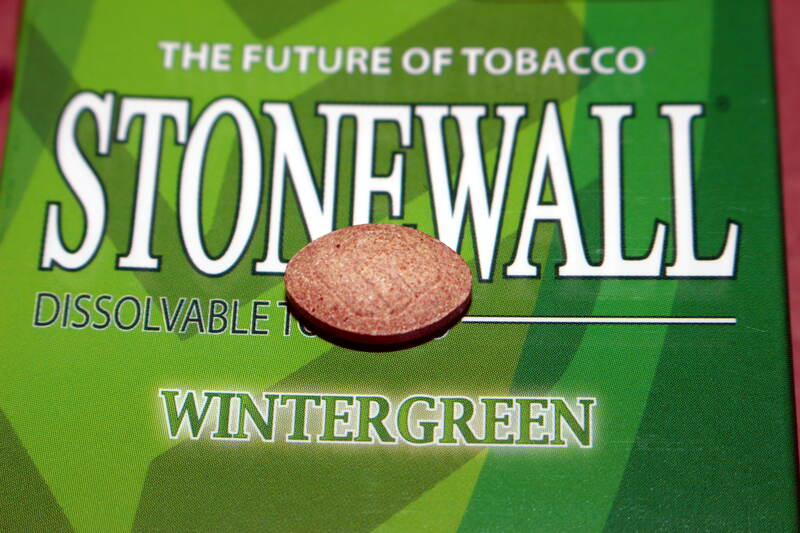 Produced by Starion LLC, Stonewall Wintergreen is a unique tobacco product classified as a dry snuff which comes in tablet form without the need to spit. 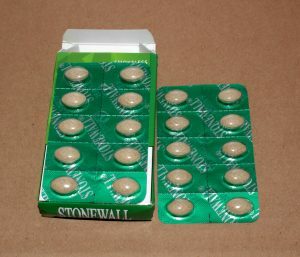 Every pack of Stonewall Wintergreen comes with 20 tablets for a total of .335oz (9.5g) per pack. After popping a tablet out from the pack, I noticed a mild aroma of fresh wintergreen, combined with hints of toasted tobacco in the background which reminded me a bit of nasal snuff. 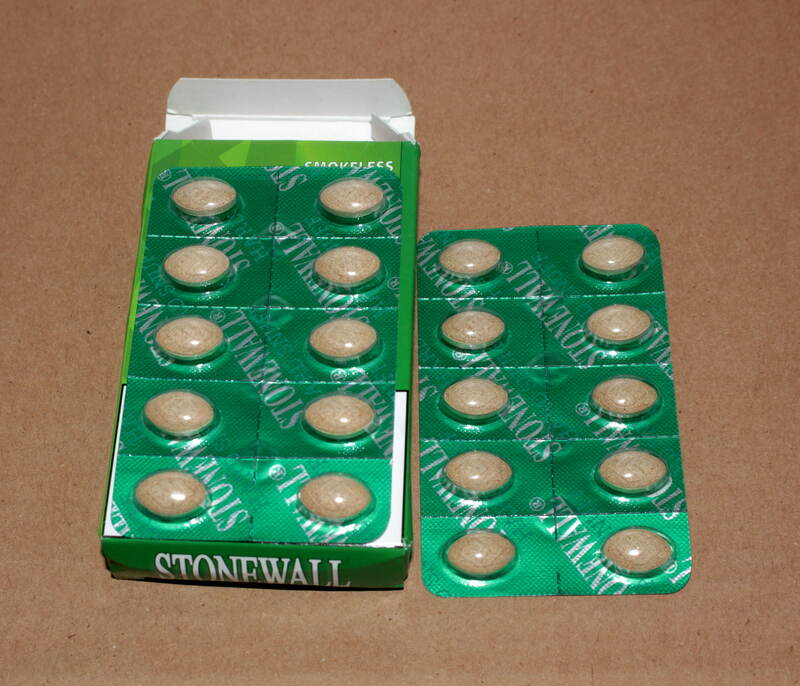 To use a Stonewall tablet, you simply place one in your mouth between your cheek and gums and let the pellet slowly dissolve over time. Soon after putting one in my mouth, I began to notice a wintergreen taste with hints of toasted tobacco in the background. I definitely feel that the flavor was quite enjoyable while being fairly unique compared to other products I’ve tried. Although Stonewall tablets are a dry snuff product, they didn’t remind me much of dipping snuff as it was much finer ground and compressed. On average it took about ten to fifteen minutes before my pellet was totally dissolved, and after finishing a tablet the nicotine buzz generally dropped off quick. In comparison with snus, I found the Stonewall Dissolvables to be similar to mini portions in terms of nicotine, but not as long lasting. 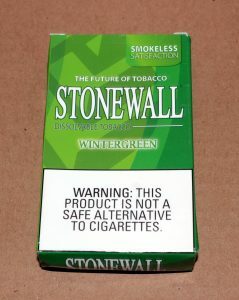 As a whole, I found Stonewall tablets to be quite interesting in terms of taste and convenience, but I found them to be a little on the weak side compared to other tobacco products on the market. 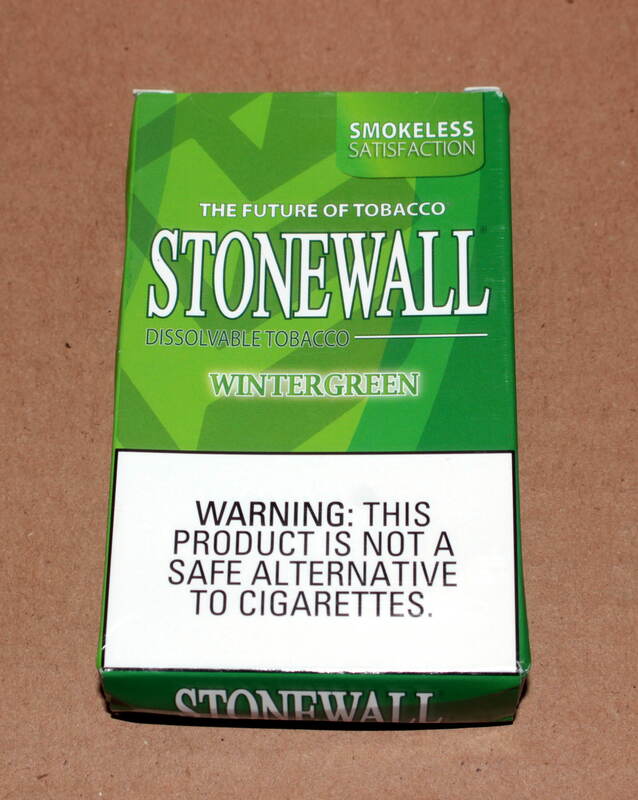 However, if you’re looking for a spit free experience with a tasty wintergreen flavor, then I definitely recommend trying Stonewall out to see what you think! 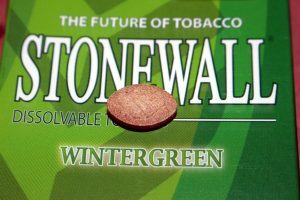 I find that Stonewall Wintergreen is great to enjoy after a meal, and their discreet nature makes it easy to enjoy them at a restaurant or other public setting without anyone noticing! 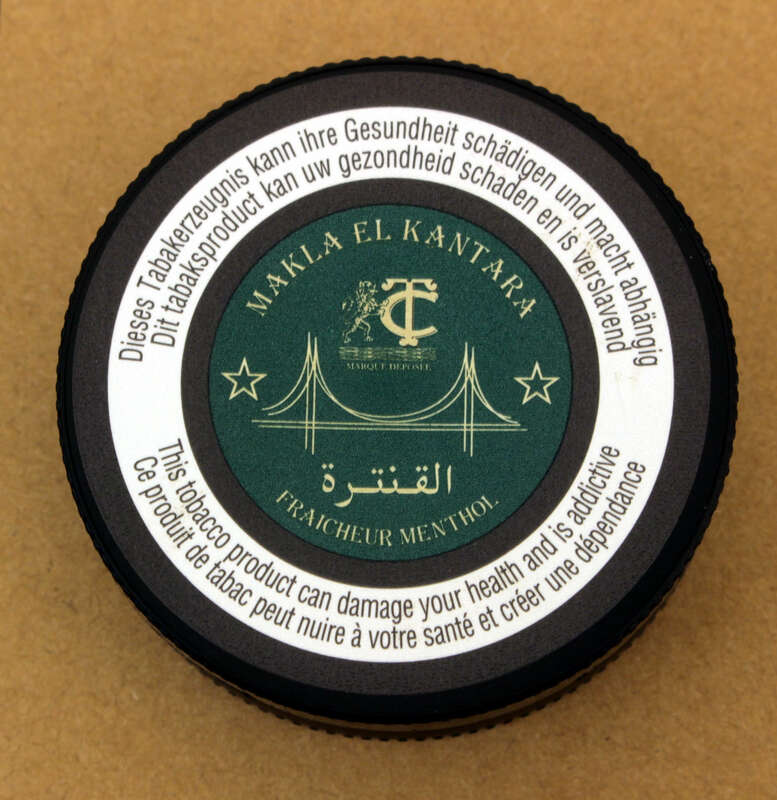 Produced in Belgium by Sifaco Benelux S.A., Makla El Kantara Bentchikou is a menthol flavored variant of Makla, a traditional oral tobacco product which originates from North Africa. Makla is produced using a blend of selected and minced Rustica tobacco leaves combined with a special blend of natural texturing agents. Every can of Makla El Kantara Benchikou comes with 25 grams (.88 oz) of Makla. Although the cans are fairly small, makla contains a significant amount of nicotine and thus you’ll be using less than you would snus or dip! Not long after opening my can, I began to notice a strong menthol aroma, coupled with hints of very earthy tobacco in the background. Soon after putting a dime sized amount of makla in, I immediately started to feel a strong sensation of icy menthol, and as a big menthol fan I appreciated the taste. The menthol flavor was dominant and lasted for around ten minutes before slowly starting to diminish but remaining ever present until about the thirty minute mark. I also noticed just a hint of tobacco in the background, and it had a very earthy character to me. The grind of Makla is extremely fine, and I would say that it resembles snus except becomes finer when in your mouth (I generally place it in my lower lip). Unlike snus and similar to dip, you’ll need to spit while using makla. 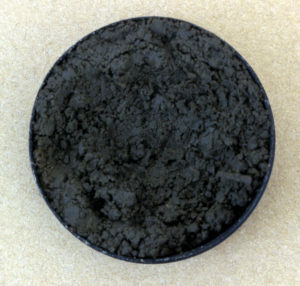 However, I didn’t find myself spitting as much as I do with dip as I use much less makla in a session than I would dip. Within a few minutes I began to feel a strong nicotine buzz set in and it was very pleasant. The nicotine buzz generally lasted for around twenty five minutes before starting to diminish. 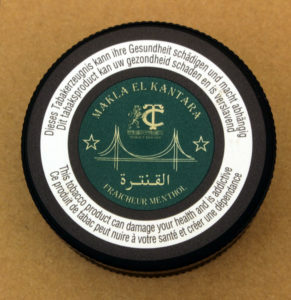 One other thing to keep in mind is that you should try to keep your can of makla horizontal as much as possible, as placing a Makla tin vertically may cause water to slowly seep out leading to the tobacco drying out faster. As a whole, I must say that I really enjoyed my can of El Kantara Bentchikou. It has a unique taste and is very potent, meaning you can use less and still get a pleasant nicotine buzz. I highly recommend giving El Kantara Menthol a try if you’re looking to try something totally new and mix up your daily rotation!